You must apply for motorcycle registration with the Maryland Department of Motor Vehicles (DMV) in order to ride it legally within Maryland roads. It is illegal if you are caught riding a motorcycle that has not been registered. The process of motorcycle registration in Maryland is similar to that of registering a car. To register and title your motorcycle in Maryland for the first time, you will need to visit your local DMV office in person. Manufacturer’s certificate of origin if you purchased the motorcycle from the dealership or a certificate of title if you purchased a used motorcycle. Bill of sale to show proof of purchase. Check to pay the $10 title fee and any other applicable taxes. If you are registering a motorcycle from your previous state, you must bring a title from your previous owner or a title in your name from your previous state. You must also bring your current registration card from your previous state of residence. You have to choose whether you need an electronic title or a paper title. You must show proof of motorcycle liability insurance. You will need to complete the Maryland Vehicle Registration Application. Pay the $104 motorcycle registration fee which is valid for two years and other applicable fees. 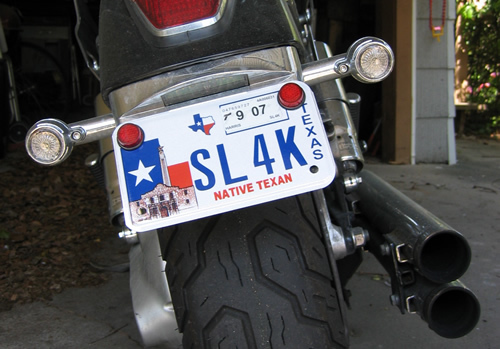 The DMV will give you a license plate to place on your motorcycle. You can also request personalized license plates from the DMV, but you will have to pay additional fees.